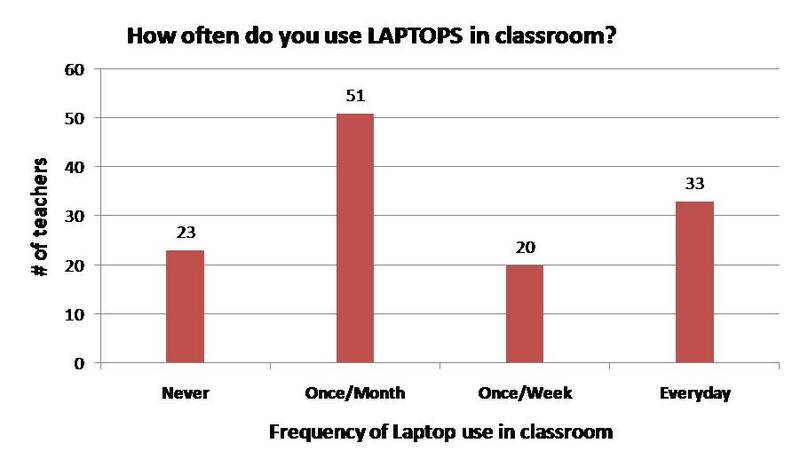 The question of iPads or laptops is one that needs to be asked. 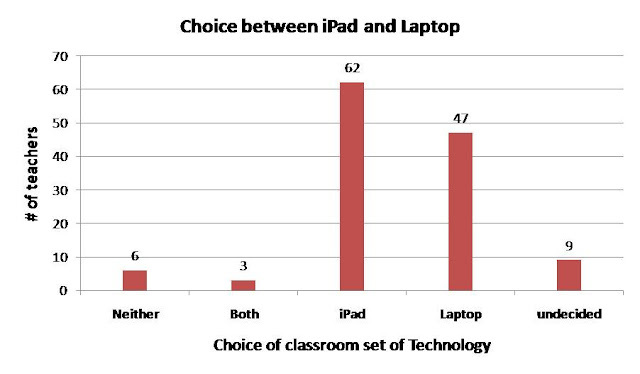 What is better for education-an iPad or a laptop? The question has no simple answers. It's a complex question because of the complexity of education and the K-12 system in general. Which is better for each content area? Or grade level? What is best for AP psychology is probably not best for kindergarten. As you all know, there is such a wide range of ages and abilities in a K-12 system so in my mind, we can't just all use the same thing. 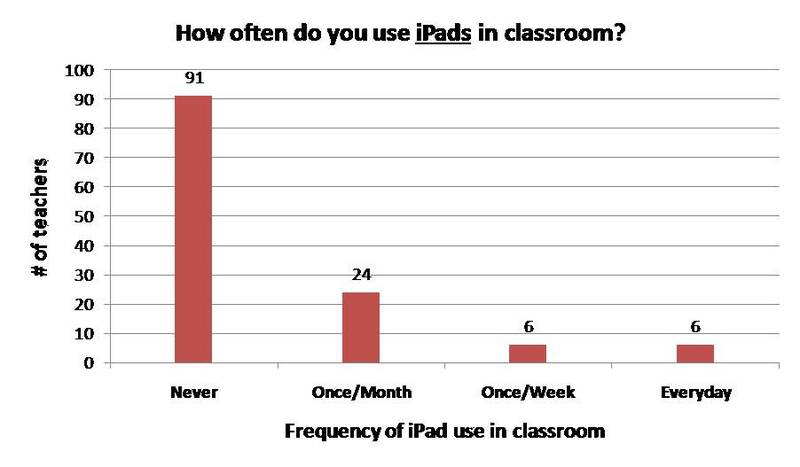 It seems the push is towards the iPad. Is that the best option? Is it the best option for middle school? High School? I think before we start spending all this money, we need to take a serious look at what is best for education, what has the most potential, what teachers want, and what we are capable of. I surveyed hundreds of teachers about their thoughts, opinions, and desires when it comes to technology in education. 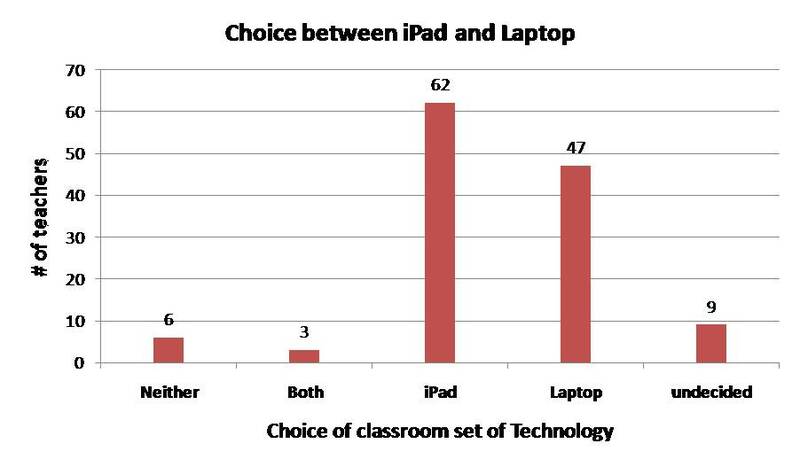 I attempted to answer the question: What is better: iPads or Laptops? 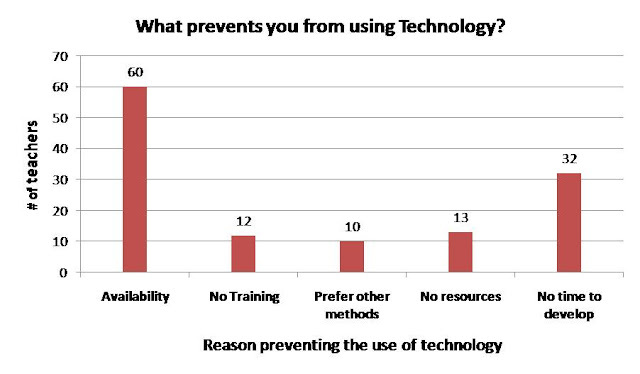 I did not come away with a solid answer, though I was able to gain valuable insight into technology in education. 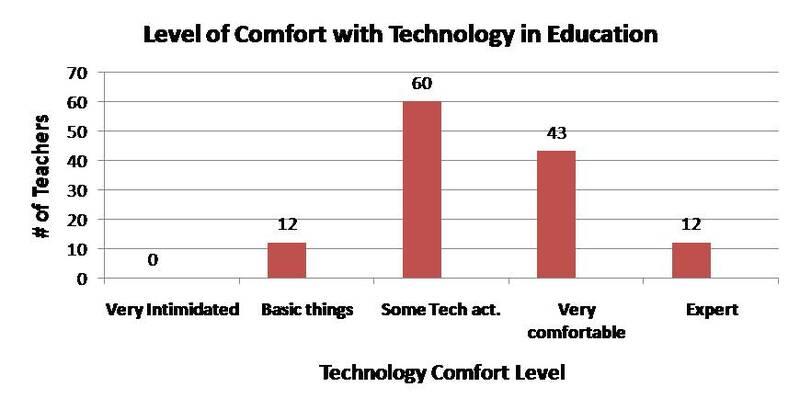 I was able to learn about what teachers are frustrated about, what they prefer, and what they want going forward. I decided I would share my findings with you for this last Techno.ED post before the break. The graphs did not show up on my google docs version, so I have included them below this post. My thoughts and commentary on each graph is located within the document.